Malden, Ma. 1-14-18. 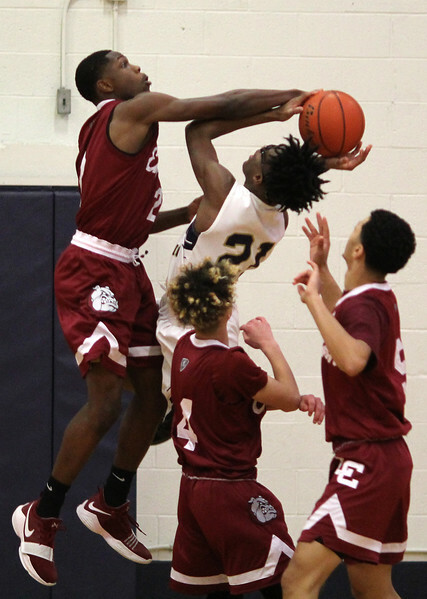 Lynn English's Javonte Edwards stops to Kendrick Jean-Francois of Malden Catholic from taking a shot in Sundays 72 to 63 English win.